 The American Laryngological Association, as part of its mission, seeks to encourage research which will advance the art and science of laryngology. In order to aid in fulfilling this portion of the mission a special fund, The Laryngological Research Fund ,was established by an act of the council in 1940. At the time of origination, the sum of $16,000 was transferred from the general fund into a special fund with the purpose of supporting research. In addition to establishing fiscal support for research the Council, in 1940, also created a committee for the oversight of laryngology research. The committee continues today with the charge of reporting to the Council on progress of research in laryngology and making suggestions as to how the ALA may encourage ongoing research. In 1996, Dr. Gerald Healy, Secretary of the American Laryngological Association (ALA), and Dr. Matina Horner, former President of Radcliffe College, promoted the concept that the American Laryngological Association develop an independent research foundation. This foundation, the American Laryngological Voice Research and Education Foundation (ALVRE) was organized to support research and education in laryngeal and voice disorders. In founding ALVRE, the ALA leadership recognized that support for research that is designated to improve the understanding of disorders of the voice and larynx and/or to improve the quality of care received by and available to patients afflicted with these disorders, had been seriously lacking. The need for more collaboration aimed at enhancing the effectiveness of both diagnostic and treatment protocols was certainly compelling. ALVRE’s scope of activities was to include identification of various research questions that would be of interest to the medical/scientific community and that also would have considerable consequences for the wellbeing of the public at large. It supported research efforts in congenital, involuntary and neuromuscular disorders that affect the voice and larynx, as well as, voice disorders that result from the presence of tumors and trauma. The organization’s mission was also to provide encouragement to young investigators through first time grant support, as well as, to raise funds to foster collaborative research across relevant disciplines. In addition, the organization intended to increase public and professional awareness of laryngeal voice disorders. In 2000, ALVRE sponsored a major Millennium Symposium in New York City at which leading researchers and clinicians shared the latest advances in their field and identified existing challenges. In addition, a gala, Celebration of the Human Voice”, was held at Lincoln Center co-hosted by Lesley Stahl and Tony Randall. This gala raised in excess of $250,000 after expenses. Unfortunately, over time ongoing support for this Foundation could not be sustained and the Foundation was dissolved in January 2006. Its funds for laryngeal and voice research were transferred to the American Laryngological Association to fulfill the purposes for which the Foundation had been created and the funds had been raised. The research funding is currently provided through the ALA/ALVRE Research Grant. The fund was established in 1989 with a bequest of $100,000 by Seymour R. Cohen, M.S., M.D., Odelia A. Cohen and their daughters Lori Dee Jekelis and Cathy Lynne Cross during Dr. Cohen’s Presidency. The Award was announced in 1996 and implemented in 1997. The purpose of the fund was to establish an award in the name of Seymour R. Cohen that originally was to be given bi-annually to further research in pediatric otolaryngology and/or pediatric neurolaryngology. It was designated by the recipients that research was to be performed in the nature of basic science only. After discussion with the Cohen family, the Seymour H.Cohen Award was re-designated in 2013 with the first grant awarded in 2014.